The massive north-facing cliffs and giant talus slope are home to enough beautiful and unusual plants to keep any flower lover happy. Hikers looking for viewpoints won’t be disappointed either. 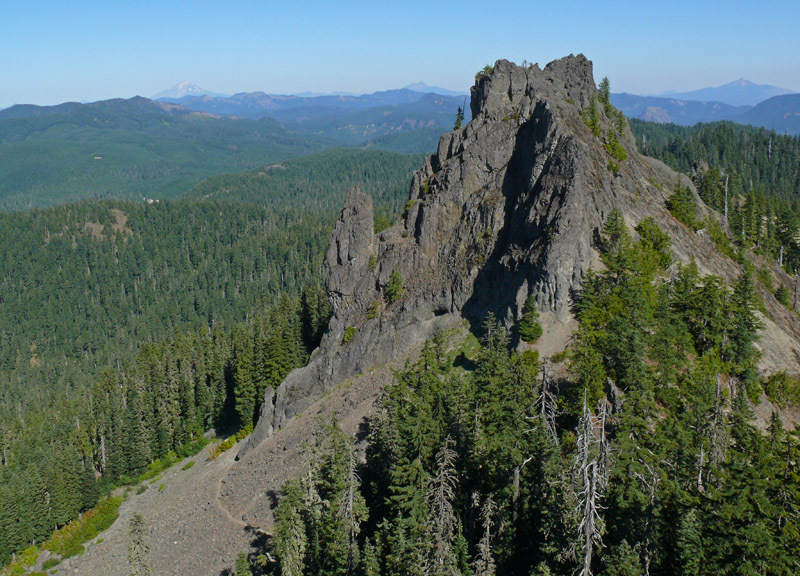 From the old lookout site perched atop the west peak, the 360° view is spectacular. Crossing the talus slope may be difficult for some hikers, and the lookout site requires a short but steep scramble to reach the top. It’s not for those with vertigo! Even skipping the top, the old growth woods are quite beautiful and there is a gravelly slope that is quite floriferous early in the summer if you continue west past the summit. Flowering gentians and fruiting huckleberries make late summer trips worthwhile as well.